Thermo-active technology will cut down your drying time to at least half the time. The formula is instantly activated by heat of your blow drier which will help you achieve express styling with all day hold. Alright, we are in full back to school mode at thebeautyblog.ca casa and having 2 teenage girls can sometimes make school mornings very hectic. 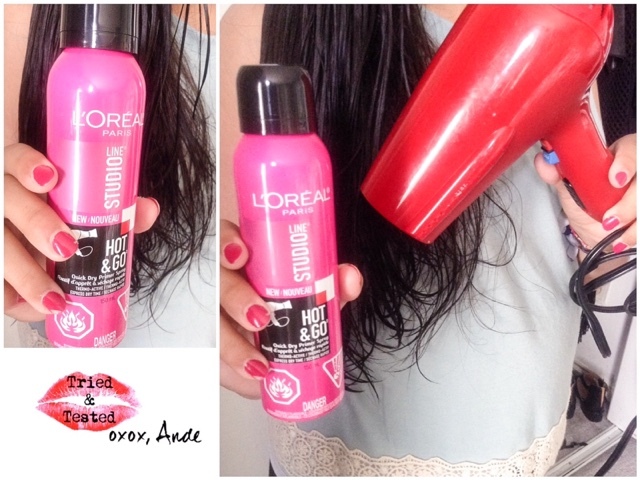 This new LOREAL Hot & Go thermal Primer spray is a life and time saver. I has cut down the blow drying time to less than half for my girls, which means more time to get ready in the morning.